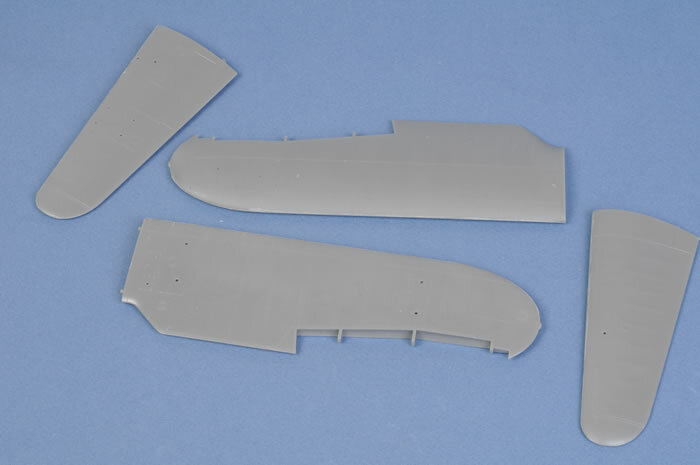 Contents and Media: 148 parts in grey resin; acetate film for instruments and windscreen; two masking sheets. 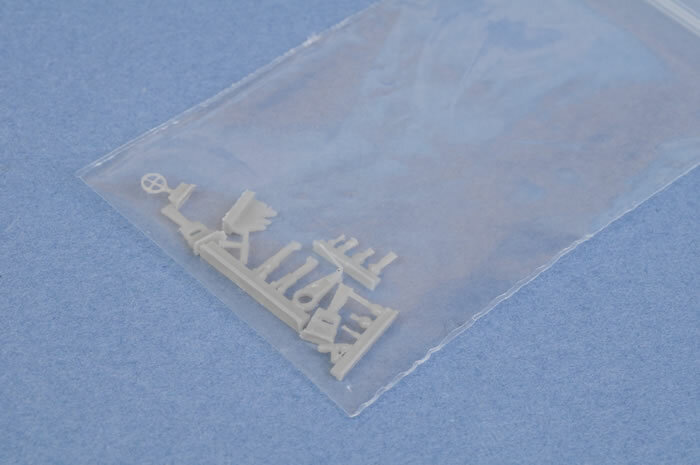 Disadvantages: Previous experience with resin kits will be required; no harness straps. Conclusion: A beautifully detailed resin kit of an important subject. The Henschel Hs 123 entered service in 1936 as the first stage in the Luftwaffe’s effort to create a modern dive bomber force. But it was not the role of dive bomber that allowed this aircraft to remain in service well into 1944, but rather it was its roll as a Schlachtflugzeug , or close-support aircraft. The Hs 123 played the close-support role successfully from the Spanish Civil War through the invasion of Poland and the Balkans and well on into the disaster that was the invasion of Russia. Even when all other aircraft had been grounded due to airfields being a mass of mud, the Hs 123, without its landing gear covering, was able to remain in combat. So valued was the Hs 123 in its role on the Eastern front, that it was even suggested as late as January of 1943, that production of the Hs 123 be reinstated. Alas, the tooling for the Hs 123 had been scrapped in 1940. Montex Model Club has released some stunning resin kits in a remarkably short period. 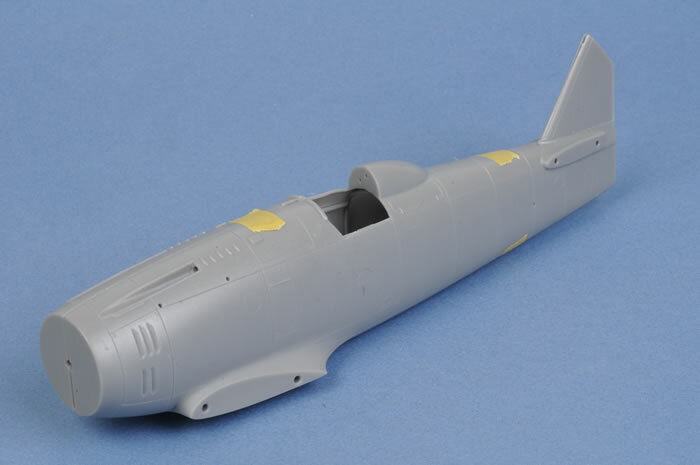 Their first full kit was a 1/32 scale Boomerang, followed by a Gloster Gamecock and a Hawker Fury in the same scale. 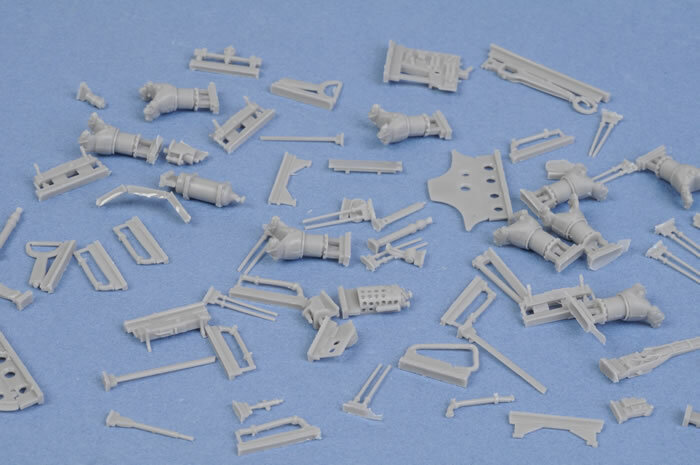 Montex's first sojourns into 1/72 scale covered two more esoteric subjects - the Fairey Fawn and Vickers Viking. 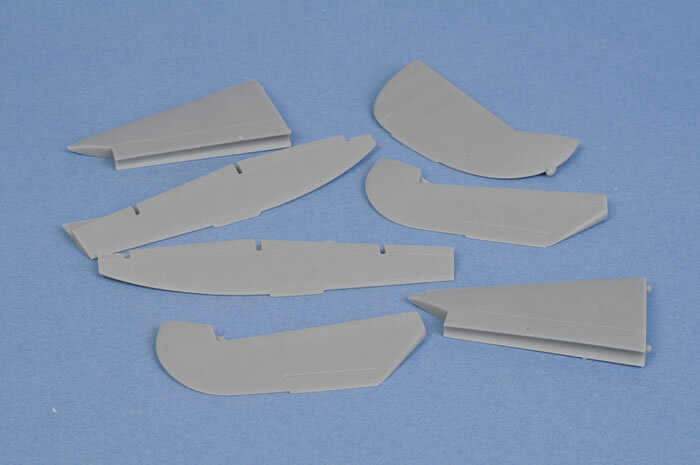 Montex's 1/32 scale Henschel Hs 123 A comprises 148 parts in grey resin, acetate film for instruments and windscreen plus self-adhesive, die cut masking sheets containing markings for two aircraft. The resin parts are beautifully cast. 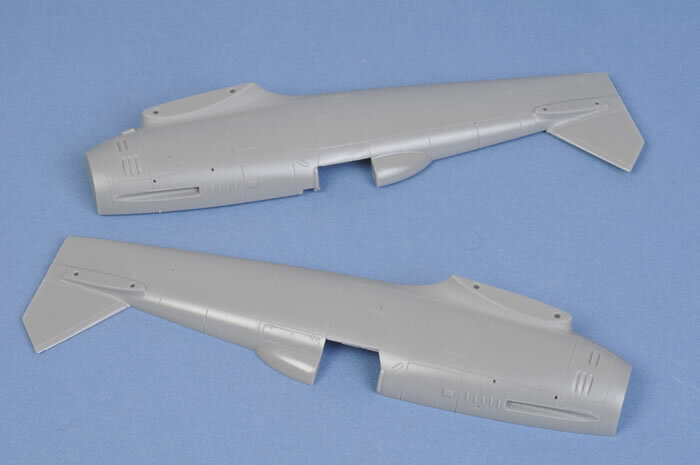 The larger parts - fuselage halves, wings and control surfaces - are almost ready to use straight from the box with no casting blocks and minimal waste material. The resin surface of these larger parts has a very slight texture that might benefit from a soapy bath and a once-over with 1,000 grit abrasive paper or a sanding stick. Surface features comprise very fine, crisp and consistently recessed panel lines, vents and grilles, combined with sutbly raised fabric texture, hinges and fasteners where applicabl. Control surfaces are all separate and may be positioned to taste thanks to deeply curved mating surfaces on the wings and tail planes. The smaller parts are equally impressive, and include some of the tiniest yet perfectly formed parts that I have seen in resin. The resin ring gunsight is probably the best example. I was actually nervous about removing it from its plastic bag in case it blew away! There is no white metal in this model. 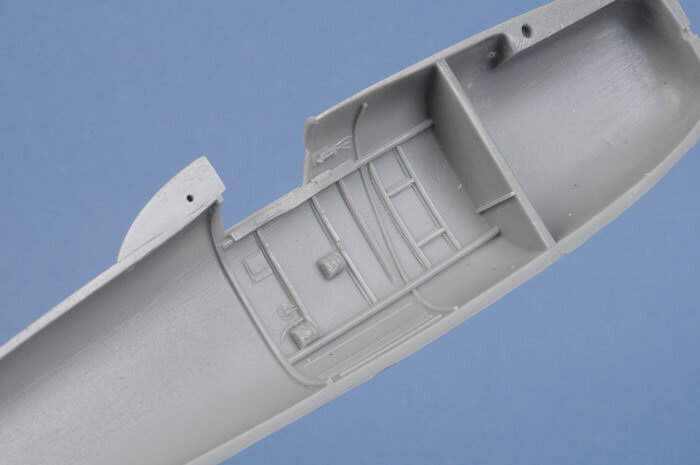 The main wing struts are very stout, and are supplied in warp-free resin. Interior detail is excellent in both the cockpit and the engine bay. The resin sidewalls are cast with much of the interior structural detail already in place. These are supplemented with a well-detailed seat suspended on the rear bulkhead, perforated oxygen bottle and hose, throttle quadrant and other handles, ammunition bins and more. The instrument panel features an acetate backing sheet with printed instruments. The engine is made up from a central crankcase and core, with separate cylinders and even individually cast pushrods! You're on your own for the ignition harness though - a few lengths of fuse wire will do the trick here. 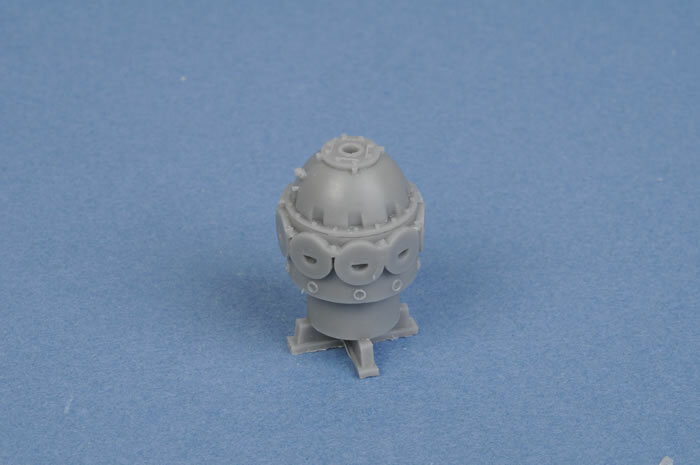 Ordnance includes four bombs and a belly tank for the fuselage centreline. The landing gear is made up of hollow, two-part spats with separate wheels. Parts breakdown is quite straightforward. The upper and lower wings are supplied in two parts each, and the fuselage is conventionally provided as a left and right half. 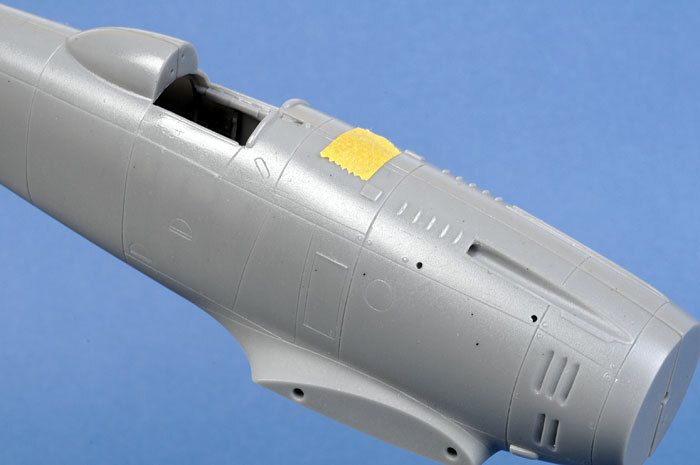 Deep locating holes and corresponding pins will ease the task of aligning and securing the wings to the fuselage and the struts. If you have never built a biplane, this might be a good place to start, as you are not likely to find a simpler biplane configuration. I have test fitted the fuselage halves and the top wing halves. These critical assemblies appear to fit remarkably well. 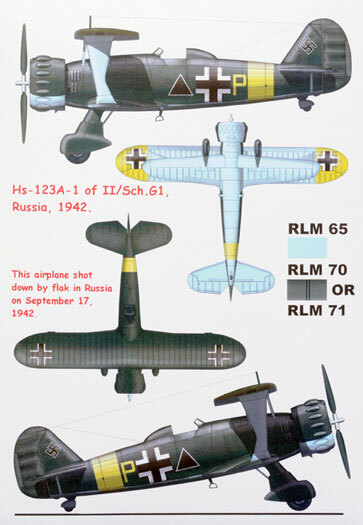 Montex reveals its origins with two self-adhesive masking sheets providing markings for one Luftwaffe machine in RLM 70 Black Green, RLM 71 Dark Green and RLM 65 Light Blue; plus a Spanish Hs 123 in the wild pre-war splinter scheme, still in service well in 1942, well after the end of the Spanish Civil War. Montex's 1/32 scale Henschel Hs 123 looks like a great kit. The cockpit and engine are beautifully detailed, and fit appears to be encouraging. 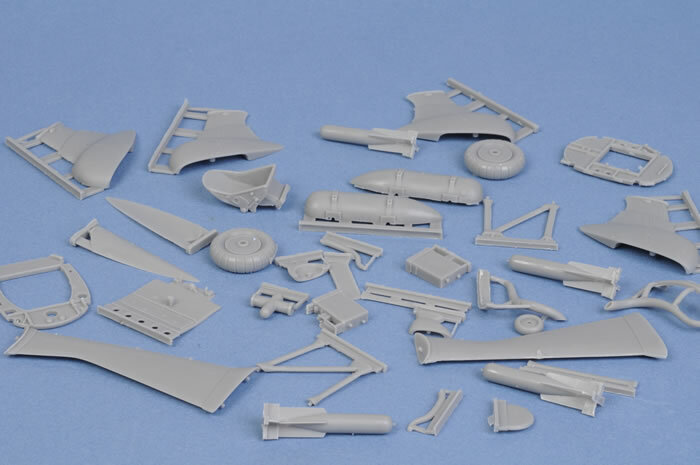 The relatively large number of parts and the fact that this is a resin biplane means that some experience working with this medium will be advisable, but I'll bet that there are many Luftwaffe afficiandos who would love to see this chunky, purposeful aircraft on their shelves.